Do you love all types of cooking from roasting, frying, grilling and even baking; anything is possible with the Cyclofry. Designed with variety in mind, the Cyclofry not only lets you cook in various ways but also lets you cook an assortment of foods. With multiple attachments for different uses, you can cook everything from vegetables to cakes. 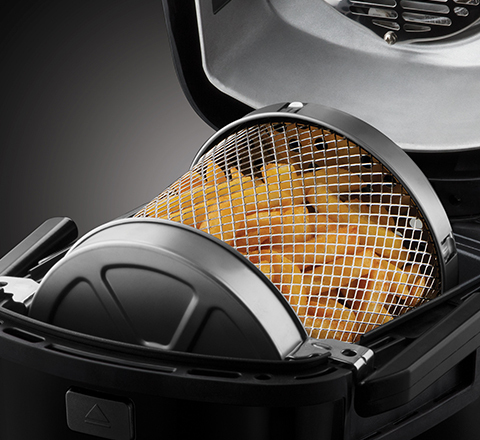 And best of all if you’re looking for a fryer that lets you cook food that has all of the flavour and less of the guilt, then you’ll love this health fryer that provides a healthier alternative to your normal fryer as no oil is needed for the same result. Are you tired of having to go back and forth shaking your fried potatoes to stop them burning or sticking. 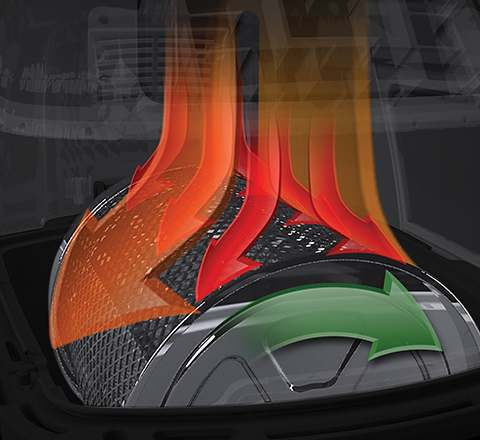 Then you’ll love the Cyclofry’s rotating basket that ensures even cooking and does all of the hard work for you. Not only has your cooking been made easier but also your cleaning, with a removable basket that can be detached and put straight into the sink or dishwasher – cleaning has never been easier. Designed to cook your food more efficiently, the Cyclofry has a halogen heating element and fan that circulates the air around the fryer to ensure the heat is evenly distributed around the inside. This ensures whatever culinary delights are on the menu are cooked evenly and thoroughly. The Cyclofry has a modern and sleek digital control panel that’s not only easy to use but also easy on the eyes. 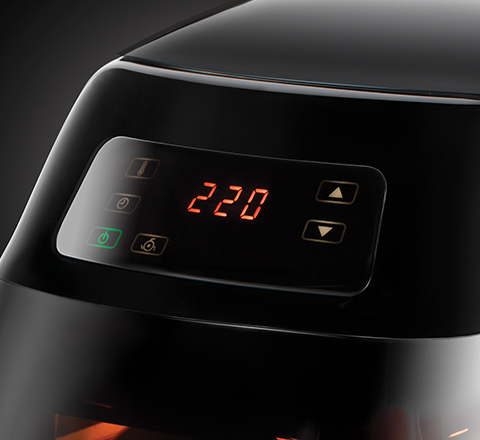 With clear and simple buttons you can set the time and temperature with ease for effortless cooking.